The Federation of North American Explorers (FNE) is a great program that offers single-gender scouting for both boys and girls. 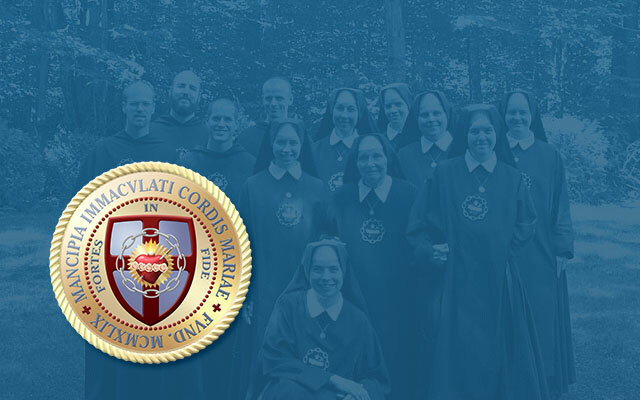 This important youth apostolate, which our community participates in, has boys’ sections with Brother Louis Marie and the Dads as adult leaders, as well as girls’ sections with our Sisters and the Moms as adult leaders. You may learn more about our Explorers program on this website. Below is a photo gallery from “AmeriJam 2015,” an early June event that took place at Carpathian Village in Pennsylvania. Glimpses of our religious can be seen among the Explorers, Timber Wolves, and other adult leaders participating. The boys and girls from our FNE groups had a great and wholesome time — as did the adult leaders. Groups from New Jersey, Toronto, New Hampshire, Maine, West Virginia, Cincinnati and Denver joined together at Carpathian Village in Pennsylvania for AmeriJam 2015. A week of great blessings.